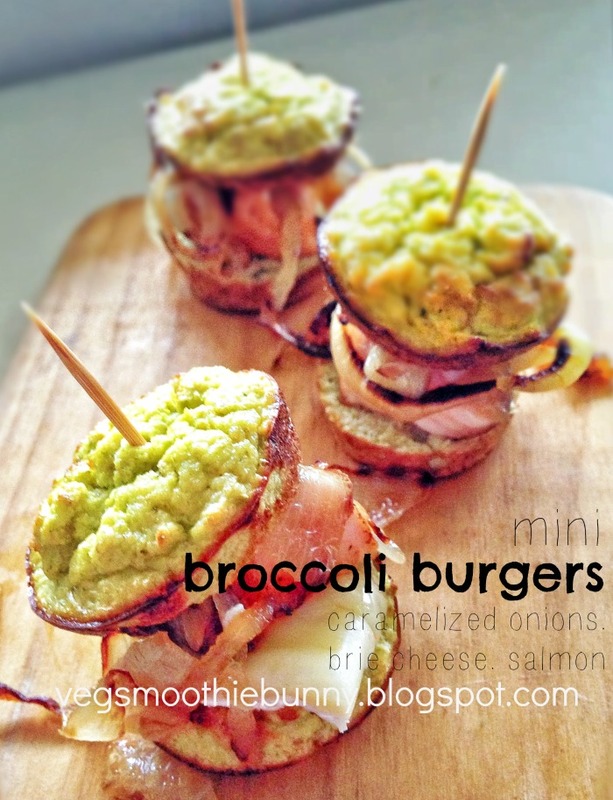 Mini Broccoli- coconut flour burgers! I have lots of (instagram, haha) friends who are gluten intolerant or on a wheat/sugar free diet either out of choice or because their bodies cannot handle it. So here’s a recipe for all of you out there looking to eat a little healthier and swap plain nutrientless flour out of your diets! 1. Wash and rinse broccoli head and cut into florets. 9. Pop out from muffin tray and leave to cool. 2. Saute in a pan/ pot over low fire till dark and sticky, stirring frequently. 1. Place salmon on skin side on a hot pan. 2. Let it sizzle away till 80% cooked then remove from fire and leave to rest. When the ‘burgers’ have cooled, sliced each into half and place brie cheese and salmon on the base. Top it off with black pepper/ chili flakes and caramelized onions. Poke toothpick through to keep everything in place. 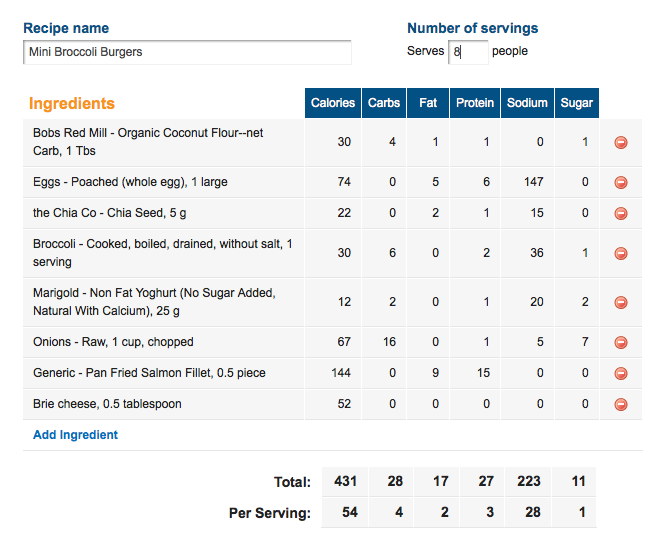 I use the nutritional calculator from myfitnesspal.com. Please just take each as an estimate as you never really know about such things. Also I try to find the item closest to what I used but sometimes it goes really out of whack. Like an egg has only about 70mg of sodium but I don’t know why I couldn’t find ‘egg’ on mfp ( I usually can) . So i used ‘poached egg’ which i suppose, the person added salt to. wow this blog is new! hi grace! your recipe is great. your character is great too! you should create an Instagram account. it's where like minded people around the world connects and meet. #eatclean #diet. Nice blog!! Where did you get the coconut flour? I'm searching for it!